4 November 1927: Captain Hawthorne C. Gray, United States Army Air Corps, a balloon pilot since 1921, has carried out a series of ascents to study the effects of very high altitude on air crews. Gray lifted off from Scott Field, Belleville, Illinois, at 2:13 p.m., in a helium-filled balloon with an open wicker gondola suspended below. The balloon, Air Corps serial number S 30-241, was constructed of rubberized silk and coated with aluminum paint. It had a volume of 70,000 cubic feet (1,982.2 cubic meters). 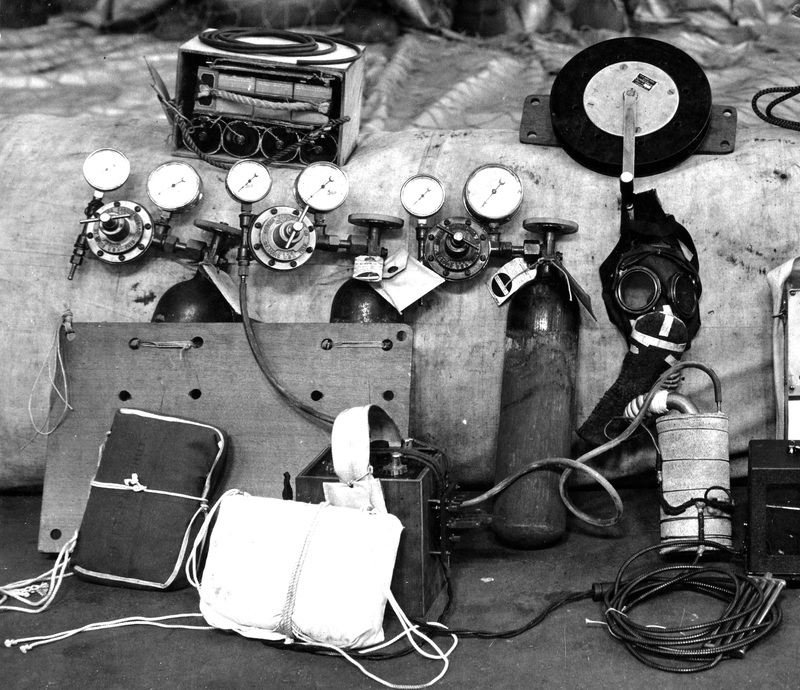 In the gondola were instruments for measuring altitude and temperature, as well as two sealed recording barographs provided by the National Aeronautic Association (NAA). 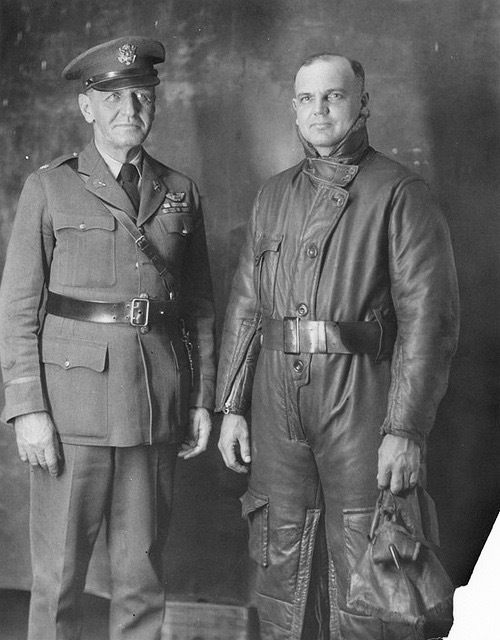 Captain Gray was dressed in heavy leather clothing for protection against the cold. Three gas cylinders of oxygen were provided for breathing at altitude. 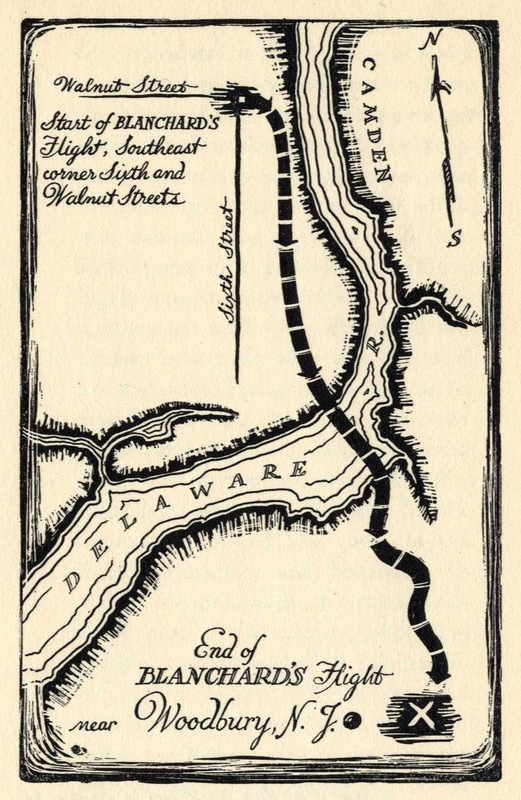 Early in the ascent, high winds carried him to the south, and though he was accompanied by four airplanes, their pilots quickly lost sight of Gray’s balloon. It disappeared into a heavy overcast 20 minutes after takeoff and rose to a peak altitude of 42,470 feet (12,944.9 meters) at 4:05 p.m.
Based on Captain Gray’s notes and data from the barographs, it was concluded that his ascent was at a much slower rate than his previous altitude flights. At 3:17 p.m., he wrote “Clock frozen.” Without the clock, Gray was unable to calculate his time aloft and the amount of breathing oxygen remaining. Estimates prior to lift off were that the supply would run out at 4:38 p.m. The balloon had only descended to 39,000 feet (11,887 meters) by 4:28 p.m. 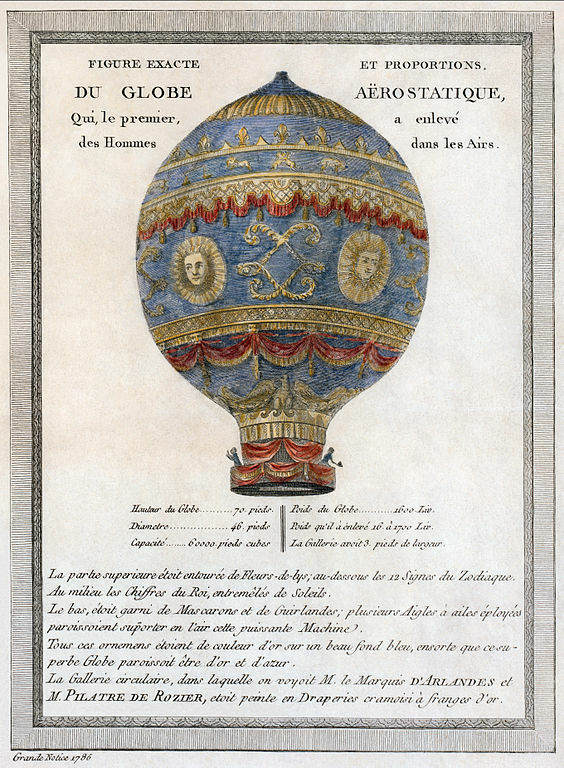 The barographs showed an increase in rate of descent at this time, indicating that Captain Gray was venting helium from the balloon to try to descend faster. The descent slowed, however, suggesting that Gray had lost consciousness. The balloon and gondola were found near Sparta, Tennessee at 5:20 p.m., with Hawthorne Gray’s body curled in the bottom of the gondola. Captain Gray suffered a loss of oxygen which resulted in his death. 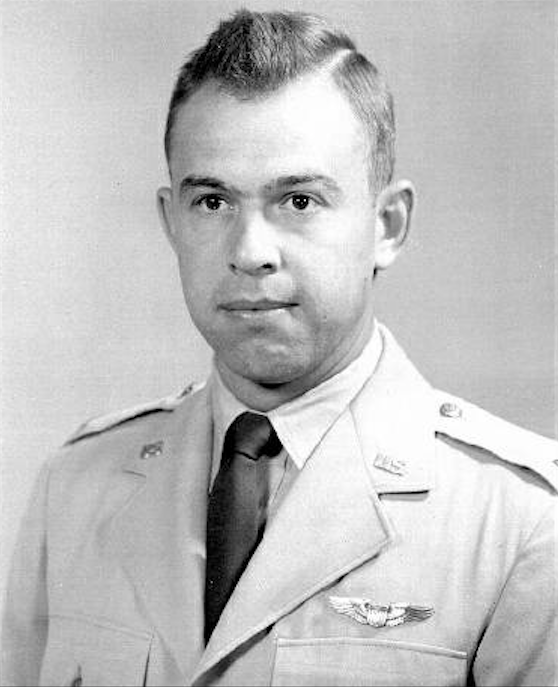 Captain Gray was awarded the Distinguished Flying Cross, posthumously, and is buried at the Arlington National Cemetery. The President of the United States of America, authorized by Act of Congress, July 2, 1926, takes pride in presenting the Distinguished Flying Cross (Posthumously) to Captain (Air Corps) Hawthorne C. Gray, U.S. Army Air Corps, for heroism while participating in an aerial flight. On 9 March 1927, Capitan Gray attempted to establish the World’s altitude record for aircraft, but due to the faulty oxygen apparatus he fainted at an altitude of 27,000 feet recovering consciousness after 52 minute, when his balloon, having over shot its equilibrium point, descended to an atmosphere low enough to sustain life. Undaunted by this experience, Captain Gray on 4 May 1927, made a record attempt when he attained an altitude of 42,470 feet, higher than any other Earth creature has ever gone. On his descent, however, his balloon failed to parachute, and it was necessary for him to descend from 8,000 feet in a parachute. With faith unshaken, and still displaying great courage and self reliance, Capitan Gray, on 4 November 1927, made the third attempt, which resulted in his making the supreme sacrifice. Having attained an altitude of 42,000 feet he waited for ten minutes, testing his reactions, before making a last rapid climb to his ceiling and a more rapid descent to safe atmosphere. Undoubtedly his courage was greater than his supply of oxygen, which gave out at about 37,000 feet. Hawthorne Charles Gray was born at Pasco, Washington, 16 February 1889. He was the fourth of six children of William Polk Gray, a river steamboat pilot, and Oceanna (“Ocia”) Falkland Gray. Hawthorne C. Gray served as an enlisted soldier with the 1st Battalion, 2nd Infantry, Idaho National Guard, 1911–1912, a second lieutenant, 25th Infantry, Idaho National Guard, from 7 March 1912 to 23 April 1913. He was qualified as an Expert Rifleman. Gray enlisted in the United States Army, serving in the Hospital Corps and Quartermaster Corps from 19 January 1915 to 25 June 1917. He participated in the Mexican Expedition, under General John J. Pershing. Sergeant Senior Grade Gray was commissioned as a second lieutenant, 32nd Infantry, 3 June 1917, and promoted to 1st lieutenant on the same day. 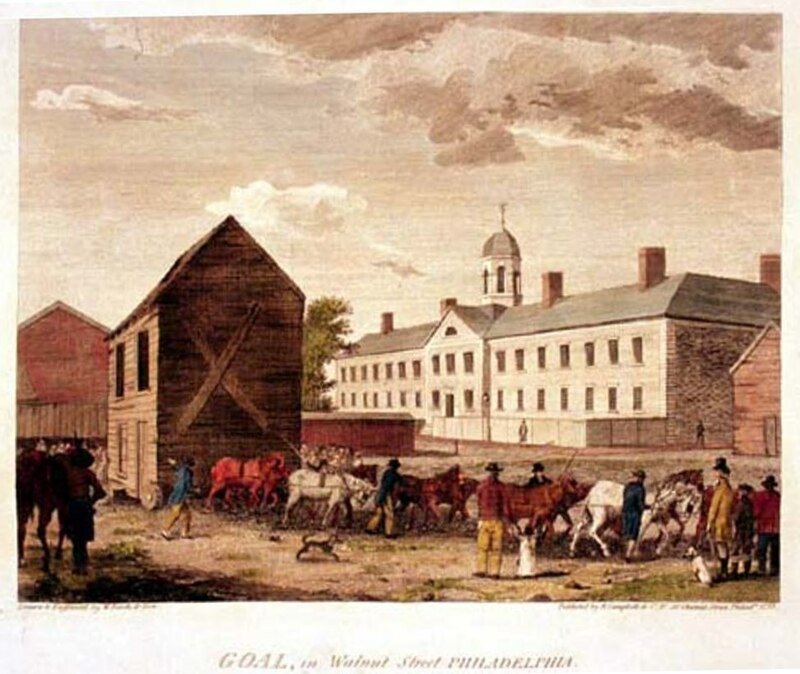 Lieutenant Gray was promoted to captain (temporary), 34th Infantry, on 5 August. The rank of captain became permanent on 24 February 1920. 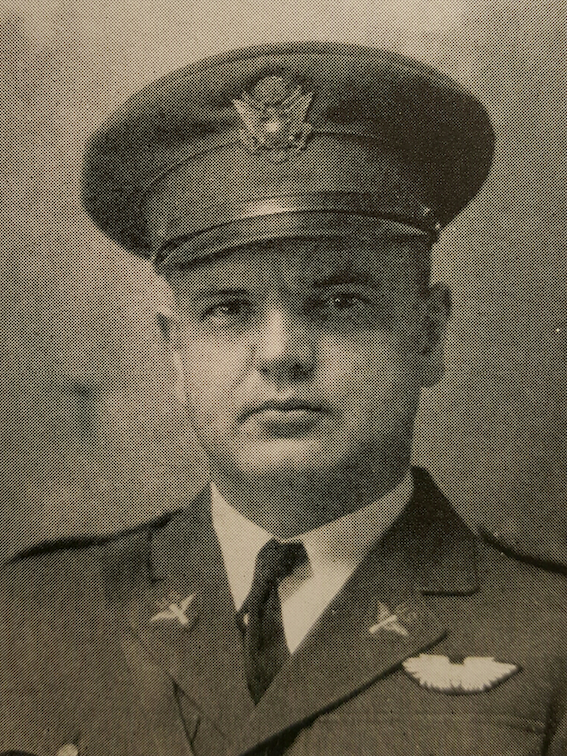 Captain Hawthorne Charles Gray, Air Service, United States Army, circa 1923. Captain Gray was assigned to duty with the Air Service from 9 August 1920, and was transferred to that branch was transferred on 29 August 1921. His date of rank was retroactive to 21 February 1920. Gray graduated from the Army’s Balloon School, Ross Field, in 1921. In 1923 graduated from the Air Service Primary Flying School at Brooks Field, Texas, in 1923, and from the Balloon and Airship School at Scott Field in 1924. Captain Gray and Mrs. Gray traveled to Europe to participate in the 15th Coupe Aéronautique Gordon Bennett (the Gordon Bennett Cup balloon race), held 30 May 1926 at Wilrijck, a small city near Antwerp, Belgium. Gray and his team mate, Lieutenant Douglas Johnson, placed second out of eighteen competitors, and behind another American team. Gray and Johnson traveled 599 kilometers (964 statute miles) in 12:00 hours, landing in the Duchy of Meklenburgia, a free state of the Weimar Republic (northern Germany), at about 4:00 a.m., 31 May. The Grays returned to the United States, arriving aboard S.S. President Harding at New York City after an eight-day voyage from Cherbourg, on 23 July 1926. 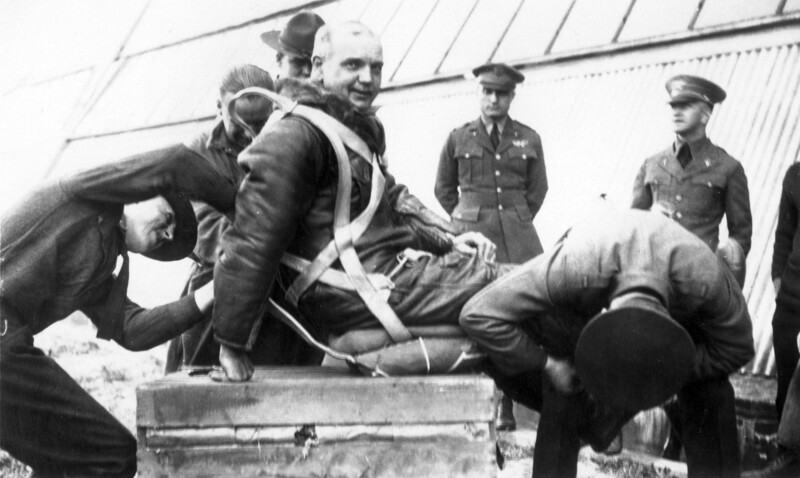 Captain Gray reached an altitude of 8,690 meters (28,510.5 feet) over Scott Field on 9 March 1927. This ascent set three Fédération Aéronautique Internationale (FAI) World Records for Altitude. ¹ On 4 May 1927, Captain Gray reached approximately 42,240 feet (12,875 meters). Because of a high rate of descent, he parachuted from the gondola at about 8,000 feet (2,438 meters). 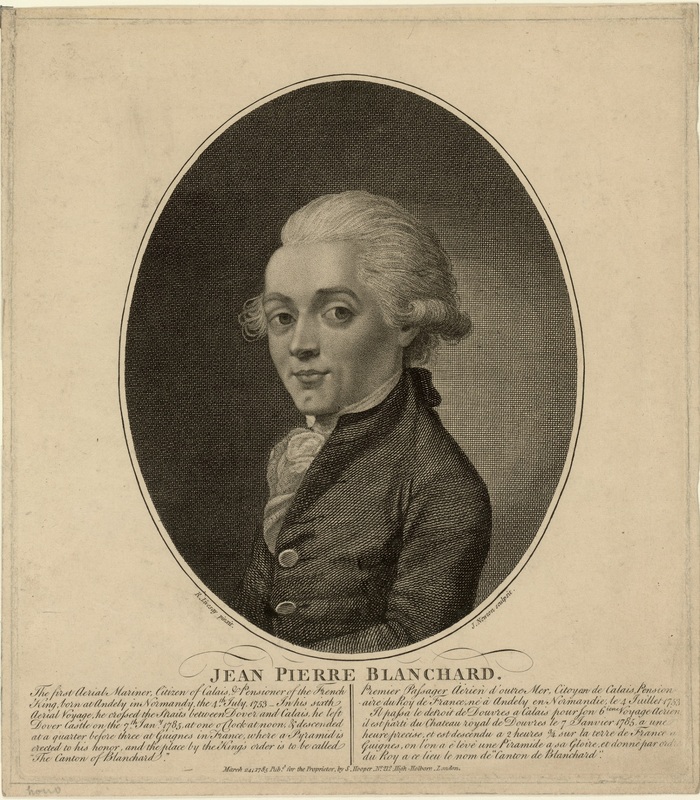 Because he was not on board at the landing, the Fédération Aéronautique Internationale (FAI) did not recognize the flight as an official altitude record. 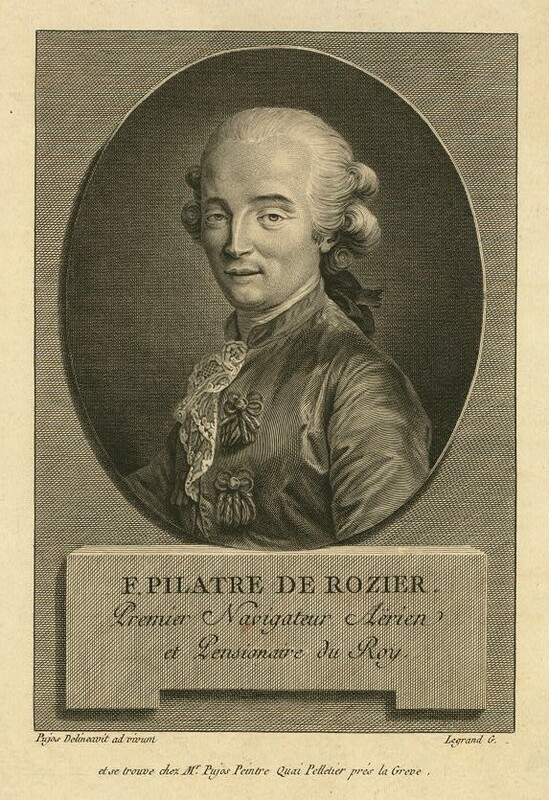 Captain Gray was married to the former Miss Miriam Lorette Maddux of Santa Rosa, California. They would have four children. Their first died at the age of 1 year, 3 months. ¹ FAI Record File Numbers: 10614, Ballooning, Subclass A-6th; 10615, Ballooning, Subclass A-7th; Ballooning, Subclass A-8th. 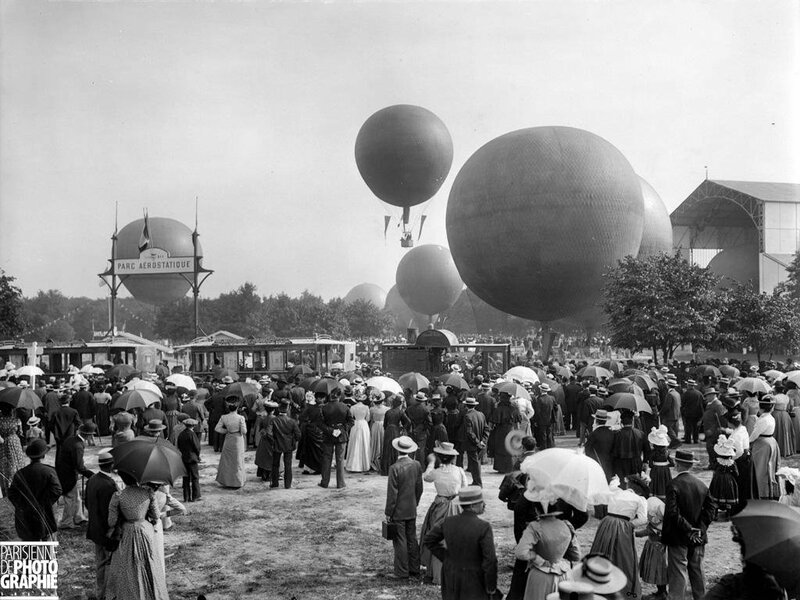 9–10 October 1900: The Aéro-Club de France held a long-distance balloon race, coinciding with the World’s Fair and Olympic Games. 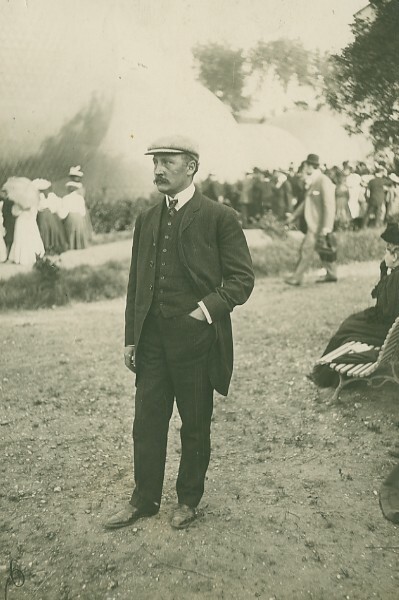 Six balloon teams competed for the Grand Prix, including that of Henri François Joseph, Comte de la Vaulx, and Joseph Félix Georges, Comte de Castillon de Saint-Victor, co-founders, along with several others, including Jules Verne, of the Aero Club. 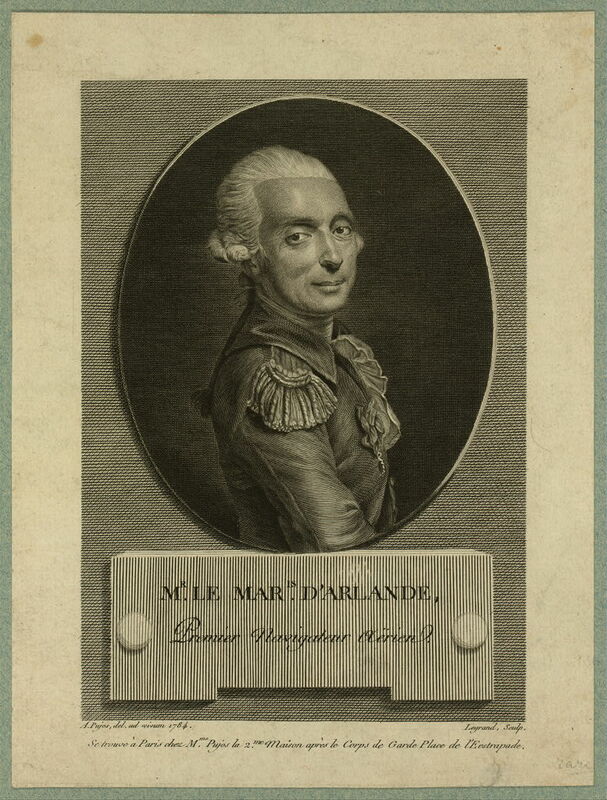 Count de la Vaulx described the route of the flight, the cities and landmarks that they passed over, the weather and temperatures at various altitudes. 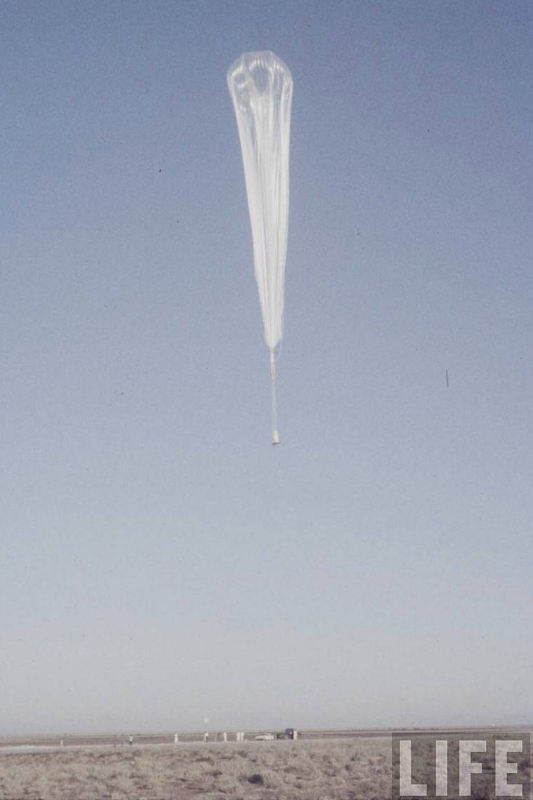 At several times during the race, they were in sight of another balloon, the larger St. Louis. Centaur ascended as high as 22,000 feet (6,706 meters) and experienced temperatures as low as -12 °C. (10 °F.) The changes in air temperature caused the gas in the balloon to expand and contract, and it rose and fell as the density of the gas varied. Having expended their supply of breathing oxygen, the two aeronauts opened the balloon’s vents to descend closer to the ground. Their anchor rope caught in some trees and Centaur came to earth shortly thereafter. La Vaulx and Saint-Victor had landed near Korostyshiv, Ukraine. The two counts had traveled 1,153 miles (1,856 kilometers) in 35¾ hours. Having crossed the Russian frontier without passports, the two gentlemen were held in custody for four days before being allowed to return to France by train. 8 October 1958: At Holloman Air Force Base, southeast of Alamogordo, New Mexico, the Project MANHIGH III balloon was launched at 6:51 a.m., Mountain Standard Time (13:51 UTC). The helium balloon lifted a 1,648 pound (748 kilogram) pressurized gondola. Inside was Lieutenant Clifton Moody McClure III, U.S. Air Force. Over the next three hours, the balloon ascended to an altitude of 99,700 feet (30,389 meters)¹ over the Tularosa Basin. 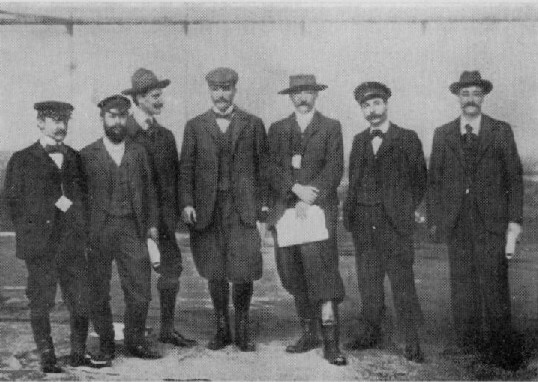 The purpose of the MANHIGH flights was to conduct scientific research through the direct observations of the pilot while in contact with ground-based scientists and engineers, and to gather physiological data about the stresses imposed on a human body during extreme high altitude flight. Lieutenant McClure was born at Anderson, South Carolina, 8 November 1932, the son of Clfton M. McClure, Jr., a bookkeeper (who would serve as a U.S. Marine Corps officer during World War II) and Frances Melaney Allen McClure. He attended the Anderson High School, graduating in 1950. He earned a bachelor’s degree in materials engineering and a master’s degree in ceramic engineering from Clemson University. He had been an instructor pilot, flying the Lockheed T-33A Shooting Star jet trainer, at air bases in Texas, but was then assigned to the Solar Furnace Project at Holloman AFB. Prior high-altitude balloon flights had shown the need for extreme physiological fitness, and McClure was selected through a series of medical and physical evaluations similar to those that would later be used to select astronaut candidates for Project Mercury. He was considered to be physiologically and psychologically the best candidate for MANHIGH flights. The MANHIGH III balloon was manufactured by Winzen Research, Inc., Minneapolis, Minnesota. It had a capacity of approximately 3,000,000 cubic feet (84,950 cubic meters) and was filled with helium. 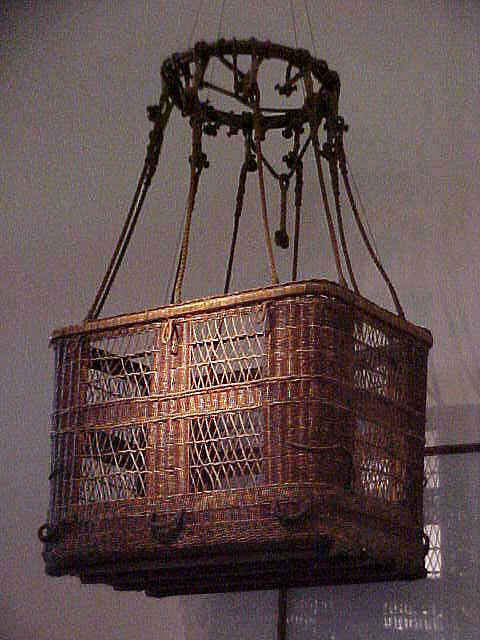 The gondola was built of three cast aluminum cylindrical sections with hemispherical caps at each end. It was 9 feet (2.743 meters) high with a diameter of 3 feet (0.914 meters). Inside were cooling and pressurization equipment ,and equipment for various scientific experiments. 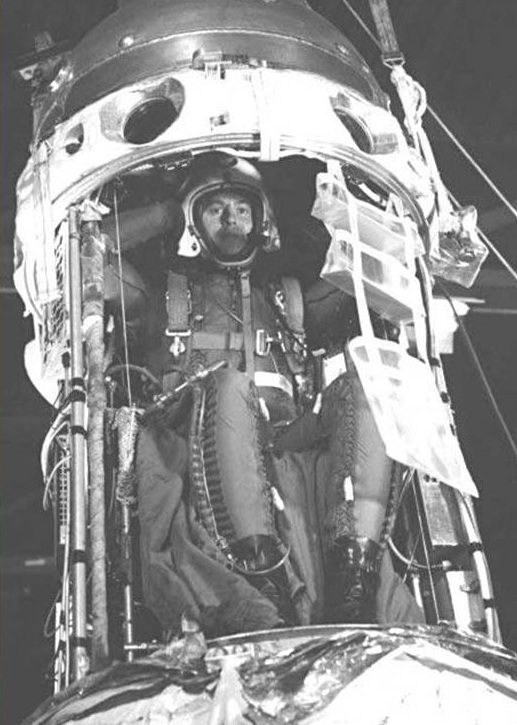 Lieutenant McClure wore a modified David Clark Company MC-3A capstan-type partial-pressure suit with an International Latex Corporation MA-2 helmet for protection. He breathed a mixture of 60% oxygen, 20% nitrogen and 20% helium. During the flight, Lieutenant McClure became dehydrated. Later, temperatures inside the gondola rose to 118 °F. (47.8 °C.). The cooling system was unable to dissipate heat from McClure’s body, and his body core temperature rose to 108.6 °F. (42.6 °C.). After twelve hours, it was decidede to end the flight. MANHIGH III touched down a few miles from its departure point at 2342 UTC, 9 October 1958. After his participation in Project MANHIGH, Clifton McClure applied to become an astronaut in Project Mercury. He was turned down because his height—6 feet, 1 inch (1.854 meters)— exceeded the limits imposed by the small Mercury space capsule. He was awarded the Distinguished Flying Cross for the MANHIGH III flight. He later flew Lockheed F-104 Starfighters with the South Carolina Air National Guard. Clifton Moody McClure III died at Huntsville, Alabama, 14 January 2000, at the age of 67 years. ¹Sources vary. A NASA publication, Dressing For Altitude, cites McClure’s maximum altitude as 98,097 feet (29,900 meters) (Chapter 4, Page 162). The Albuquerque Tribune reported McClure’s altitude as 99,600 feet (30,358 meters), (Vol. 36, No. 163, Saturday, 11 October 1958, Page 7 at Column 6. The National Museum of the United States Air Force states 99,700 feet (30,389 meters). 99,700 feet is also cited in Office of Naval Research Report ACR-64, “Animals and Man in Space,” 1962.